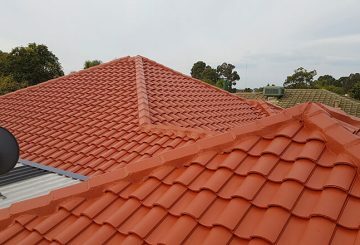 ROOFWEST is your local professional roofing restoration company and is trained in the correct application of insulative coatings for your roof. 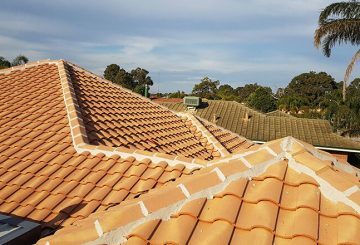 Your roof will be restored to its former glory, be protected from the elements, enhance the value of your property and can assist in reducing your internal cooling costs when ROOFWEST professionally applies Solacoat. 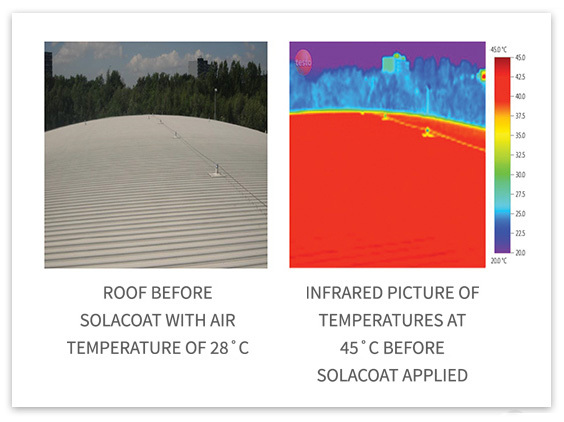 Why choose Solacoat Heat Reflective Coatings? Solacoat’s roof restoration system incorporates a thorough inspection, cleaning, repair and priming process prior to the topcoat. It is in the preparation, coupled with the expertise of the applicator and the quality of Solcoat that ensure the coating will stand the test of time. 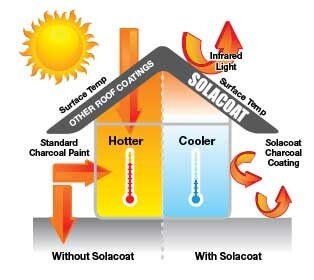 You will receive Solacoat’s 10-year limited warranty that covers the full Solacoat roof system for 10 years when correctly applied by ROOFWEST your experienced professional roof restorer. Solacoat Heat Reflective coatings (Insulative Coatings) are manufactured in NATA & APAS approved facilities, complies with Australian Standards AS/NZS 4859.1, Verified Product Certificate with Ecospecifier Global Green Star and has received independent international thermal testing ASTM E1980-11, ASTM C1371-04a, ASTM C1549-09. No matter how well the walls and ceiling space of your building are insulated they will not prevent the absorption of heat through the roof! The roof will absorb the maximum thermal heat from the sun’s solar rays. That heat will enter into the cavity of the roof and then into the living/working area of your home. Your air conditioners will have to work double time to cool the internal environment. The outside air temperature only needs to reach 28°C before your roof reaches a temperature of 45°C or greater. Just imagine all that heat transfer into your home! Stop The Heat Before It Enters Your Home. 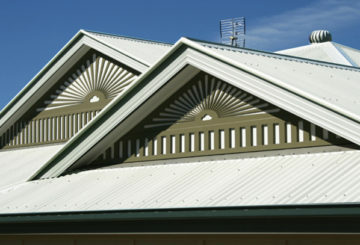 With a roof that reflects a majority of the suns’ rays, then only the minimum heat will enter into the cavity. Therefore your home will reach maximum energy efficiency and be cooler by up to 10°C*. 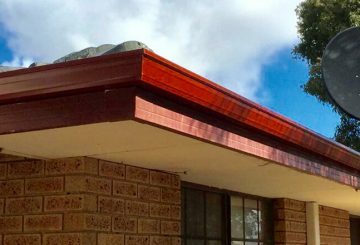 If you are going to paint your roof, then paint it cool with Australia’s best Heat Reflective Coating, (Insulative Coatings) Solacoat! 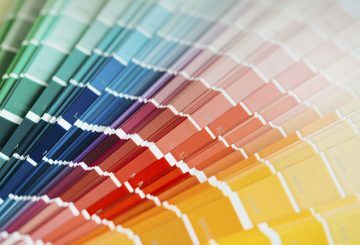 How Does Insulative Coatings Work? There are two primary components of sunlight, visible and infrared. Visible light is what we see as colour and makes up roughly 46% of the colour spectrum yet more than half of the spectrum consists of invisible infrared light. Infrared light, because it’s invisible, doesn’t affect colour but it does transfer into heat build up on surfaces and surrounding areas. 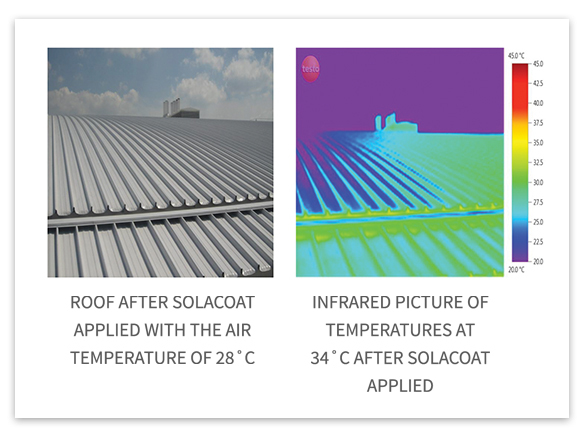 Solacoat Heat Reflective coatings (Insulative Coatings), work by reflecting infrared light away from the surface of roofs, walls and pavements resulting in energy costs savings and cooler surfaces. Want to be Cool and Comfortable this Summer? If your roof has seen better days, if you are tired of spending too much on cooling costs, or if you’re over sweltering on those hot summer days. Then ROOFWEST Roof Restoration can turn your old tired hot roof into an attractive money saving asset with Solacoat… the World’s Best Heat Reflective Coating, (Insulative Coatings)! 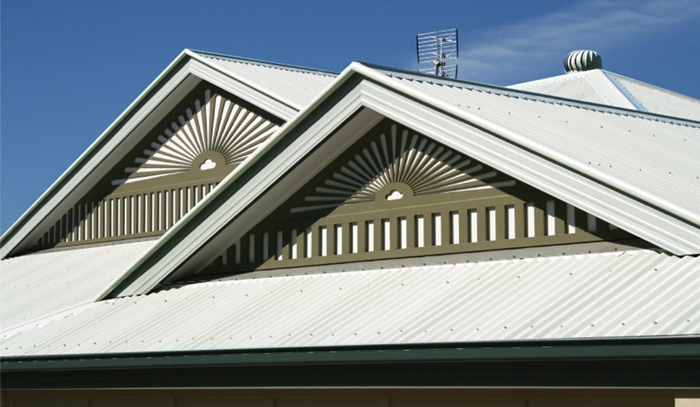 on 9795 9990 for a free onsite quote and enjoy a cooler summer at home. 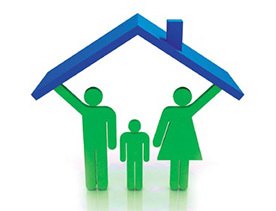 * Depending on the management of air-conditioning system and environment.